Shen Gua (1031–1095) is a household name in China, known as a distinguished renaissance man and the author of Brush Talks from Dream Brook, an old text whose remarkable “scientific” discoveries make it appear curiously ahead of its time. 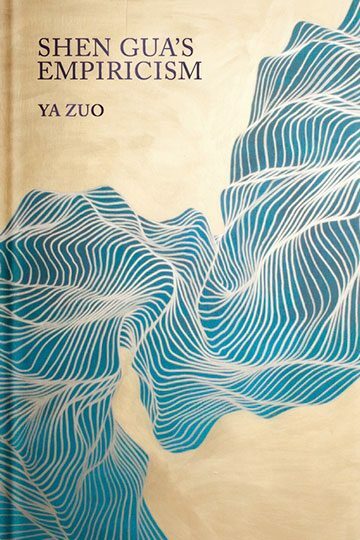 In this first book-length study of Shen in English, Ya Zuo reveals the connection between Shen’s life as an active statesman and his ideas, specifically the empirical stance manifested through his wide-ranging inquiries. She places Shen on the broad horizon of premodern Chinese thought, and presents his empiricism within an extensive narrative of Chinese epistemology. Relying on Shen as a searchlight, Zuo focuses in on how an individual thinker summoned conditions and concepts from the vast Chinese intellectual tradition to build a singular way of knowing. Moreover, her study of Shen provides insights into the complex dynamics in play at the dawn of the age of Neo-Confucianism and compels readers to achieve a deeper appreciation of the diversity in Chinese thinking.